Behavior can be influenced by your child’s environment. The physical environment can either support positive behavior or contribute to challenging behavior. Luckily, this is something that we usually have control over! Many times, we can make small changes to the environment that can have a large impact on our children’s behavior. As we pay attention to these variables, we can start to understand the causes or triggers of challenging behaviors in our children. Can you think of some problems that may be a result of your child’s environment? Setting Is the temperature comfortable? Are there calm colors around the room? Does the room have natural light? 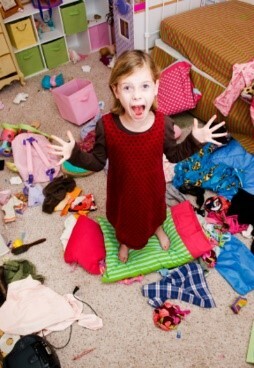 Maybe the room is too small or cluttered, causing your child to feel uncomfortable and crowded. On the other hand, the environment could be overstimulating. There may be toomuch going on, causing your child to feel overwhelmed. If your child is acting out, take a look and notice if it’stoo noisy, messy, bright, or busy. It may be that they need to retreat to a calm, quieter place to gather themselves. Inconsistency Children function best when they can stick to and rely on a routine. Imagine a time when you made plans during your child’s usual naptime. Your plans probably didn’t go so smoothly because they were tired. Be sure that your child is eating and sleeping on a regular schedule. If there is a routine change, be sure to prepare your child ahead of time so they know what is coming. Establishing a routine that your child can expect each day will cause them less stress and they are less likely to act out. Age-Appropriate Is the environment appropriate for your child’s age? Be sure that your child’s toys and activities match their development level. Sometimes materials may be too challenging or too simple for the child, resulting in them feeling frustrated/bored and acting out. Try rotating toys often and offering a variety of activities for your child, so that they will stay engaged! Attention The level of attention and interaction your child gets from you may also play a large role. When you are engaging positively with your child, talking with them, reading them a book, or playing a game they enjoy, they will be less likely to act out and more likely to engage positively back with you. If they feel ignored or as if no one is paying attention, they may be more likely to engage in challenging behaviors to get attention. 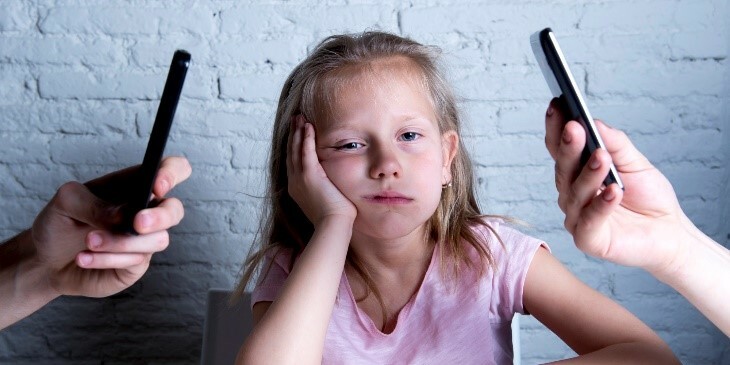 Consider Dr. Edward Tronick’s Still Face Experiment and consider the face you make when you use your cell phone, tablet, or watch television. A young child would perceive your expression and your lack of interaction as a sign of distress and respond accordingly. It’s important to be mindful of the energy, expression and level of interaction we show our children because they notice! Remember There are many factors and variables that can contribute to behaviors that we find difficult to handle. In our next blog, we will discuss how to assess and decode these behaviors so that we are best able to address them appropriately. If you have any concerns about your child’s challenging behaviors, don’t hesitate to ask for help or advice from family, friends, other parents, or a professional.